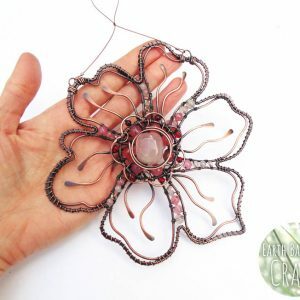 A pretty jewellery set featuring falling cherry blossom flowers each hand-made with oxidised copper wire, gemstones and glass. The petals are adorned with soft pastels and dusky pink colours in the jade, rose quartz and Czech glass beads. Inspired by our favourite spring time blossom, captured in wire art. Beads: Pink jade, rose quartz, Czech glass. 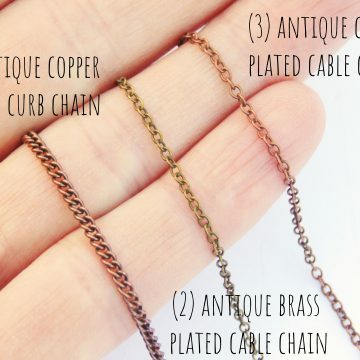 Feature: Solid copper wire that has a weathered patina finish, polished to reveal the warm coppery highlights and set with a gloss coating that is safe on the skin, to retain the glossy highlights. Feature Height Approx: 4.25cm / 1.6 inches. 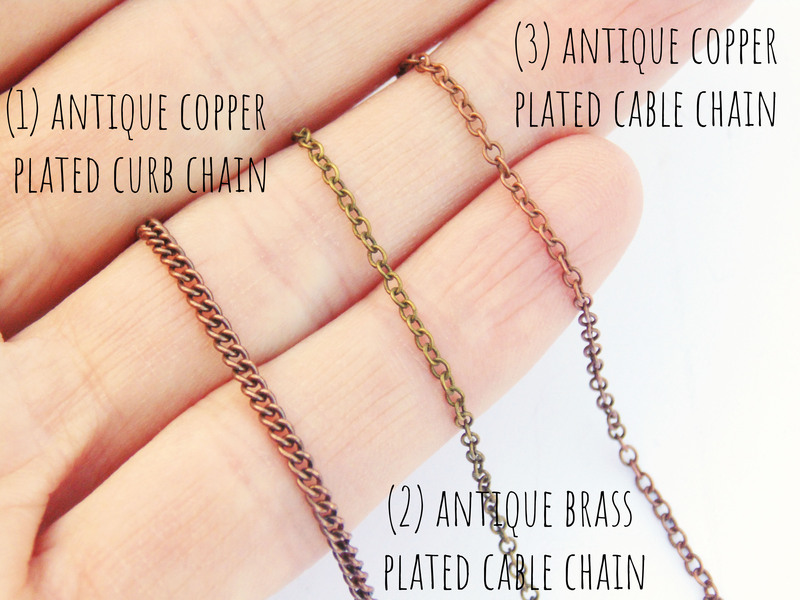 Necklace Length: 43.5cm / 17 inches (plus 5cm / 2 inches extension chain). Suited to: Pierced ears only. Ear Wire: Nobium, an inert hypoallergenic metal (any metal alloy is nickel and lead free under the EU nickel directive REACH). Feature Height Approx: 4cm / 1.5 inches. Sanitisation: The earring wires in our pieces are all new, prior to use please use a cotton wall ball and alcohol to rub over the ear wire. Returns: Please note that earrings for pierced ears are non-refundable and non-exchangeable for reasons of hygiene and safety. Note: These earrings are fragile in nature, please do not sleep with them in or sit on them accidentally! 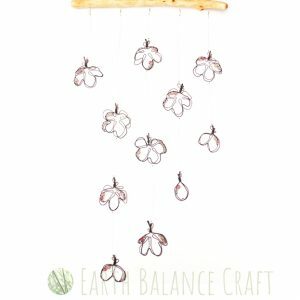 This beautiful hanging mobile features falling cherry blossom flowers and petals made from oxidised copper wrapped with pretty pink beads. Inspired by the height of spring when the air is filled with nature’s confetti as the wind blows tree blossom to the floor. The top of the mobile is a polished tree branch without its’ bark, that is warm and tactile. Each hanging line has a swivel barrel at the top which means the flower droplets can rotate around 360 degrees with gentle movement. A copper rain cloud hanging decoration with seven rain droplets made up of hammered wire paddles and glass beaded droplets. Each droplet features two kinetic aspects; at the top the droplets dangle gently and at the bottom of each droplet the beads swing softly. This creates a beautiful whimsical ‘wibbly wobbly’ movement which catches the light with flashes of bright sunshine. The opalite beads become illuminated in both natural day light and incandescent light. Inspired by rainy days with the comforting pitter patter sound of rain drops falling to the ground. The beautiful British jay bird is my favourite of all woodland birds, this design is hand-made with copper wire work, semi-precious gemstones and glass beads. Showing off the familiar plumage of the jay, with his blue and black stripes, and the soft and downy peach coloured feathers. Hang this pretty decoration in your home interior or out on a sheltered patio as garden art. This striking hanging mobile features five magical peacock feathers that follow the contours of the vibrant green and blue feather eye. 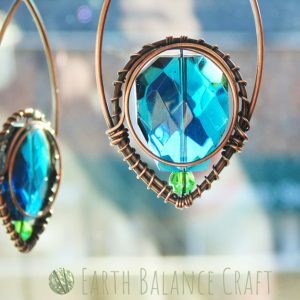 The design is hand-made with copper wire work and glass beads, with a gorgeous translucence quality that radiate sparkly sunlight. The droplets hang from Isle of Wight driftwood.